Riot has released patch 7.5 to the live servers, including in it some item changes for Marksman, as well as changes to a few select marksman who may have used or abused certain items or masteries. Supports also got some changes, a rather all around one for exhaust as it has been the go to shut down for anyone who would think to try and kill the marksman they are protecting, along with some changes to Bond of Stone, now Stoneborn Pact, to help make tanky supports a bit safer when they engage and harass. 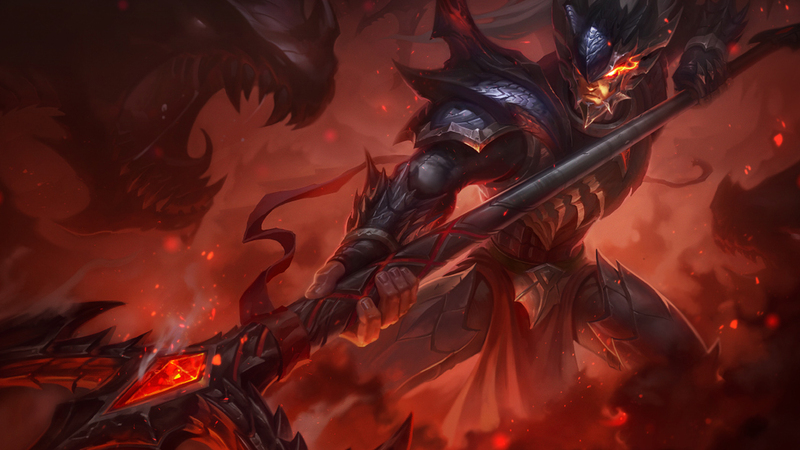 Much of Aatrox’ Kit remains the same in practice, with just some adjustments to the scaling on them and the removal of all AP scaling. The major change that will severley effect his flow of combat and the windows of oppurtunity he has to engage are that to his passive. Instead of spending health on abilities now only his (E) Blades of Torment costs a flat 30 Health as opposed to the 5% maximum health it used to cost, and being that all of his abilities are now only restricted by their cooldowns his Passive, Blood Well, now charges up by 20% for each spell cast, and upon reaching 100% it drains over the course of 4 seconds while granting him attack speed and base Attack Damage, as well as sporting a lower cooldown on the Revive portion of its effect.